Contractors depend on Irwin Stone. They know excellent quality and low prices when they see them! At Irwin Stone, contractors know they can always find the stone they need. You, too, can reap the benefits of our decades of experience. Save big, by buying direct from Irwin Stone. Our in-store experts love to help homeowners save money by buying direct. We’re known by contractors for our WIDE VARIETY of spectacular stone products. With our smorgasbord of products, you can have a home that stands out from the crowd! Visit one of our convenient locations and find out why the Washington area has depended on us for decades! We’re known by contractors for our WIDE VARIETY of spectacular stone products. With our smorgasbord of stone products, you can have a home that stands out from the crowd! Visit one of our convenient locations and find out why the Washington area has depended on us for decades! For nearly 80 years, homeowners, contractors, professional landscapers and masons have depended on Irwin stone, Irwin service and Irwin prices. For the selective customer, Irwin Stone allows material to be hand-picked. Visit our easily accessible locations in Rockville and Frederick and browse our products. Both locations are a breeze to get to. Our Rockville, Maryland, store is centrally located for Montgomery County, D.C. and Northern Virginia customers, near I-270 with plenty of parking. Our Frederick, Maryland, store is a stone’s throw from I-70 and has tons of parking. Both locations open at 6:30 a.m. and close at 4 p.m., Monday through Friday and operate from 7:30 a.m. to 1 p.m. on Saturdays. Operating hours are slightly shorting during the winter months. Irwin Stone can deliver to ANY PART of the greater Washington, D.C., Maryland, and Northern Virginia regions. With enough notice, we can deliver as far away as Richmond and the beaches. We have flatbeds, dump trucks, cranes and forklifts. Whatever it takes to get your job done right! Call us with your zip code, and we can give you a quote for delivery. We don’t charge extra for large loads, unless they need more than one truck. We know the value of home delivery to Mid-Atlantic homeowners because we’ve been serving them for nearly 80 years! How have we managed to serve the Washington area for more than 70 years? By providing top-quality service that keeps our customers coming back. We know that large landscaping and home remodeling projects can stress out homeowners. They spend hours on budgets, designs and research, just to understand the basics. How have we managed to serve the Washington area for more 80 years? By providing top-quality service that keeps our customers coming back. We know that large landscaping and home remodeling projects can stress out homeowners. They spend hours on budgets, designs and research, just to understand the basics. If you want stone or related items at reasonable prices then this is the place. If you want a beautiful, appealing showroom where a salesperson will eventually rip you off with outrageous prices, then go somewhere else. These guys primarily cater to contractors and masons, so don’t expect a showroom experience. Just expect a wide selection and good prices! As long as you have reasonable expectations you will not leave disappointed. Rita S.
At Irwin Stone, we cut through the clutter to save clients time and money on their projects every day. We are THE authority on stone in the Washington area. We have friendly staff waiting to make sense of your project. Come in to one of our convenient locations in Rockville or Frederick. If you can’t find what you need, we specialize in tracking down niche products. We won’t rest until you are satisfied! If you want stone or related items at reasonable prices then this is the place. If you want a beautiful, appealing showroom where a salesperson will eventually rip you off with outrageous prices, then go somewhere else. These guys primarily cater to contractors and masons, so don’t expect a showroom experience. Just expect a wide selection and good prices! As long as you have reasonable expectations you will not leave disappointed. Laura S.
Jack T. Irwin founded Irwin Stone in 1938 in Bethesda. Back then, the company sold roofing slate. As the times changed, so did the business. Irwin Stone shifted into selling a much larger variety of products. Most of our customers are contractors. 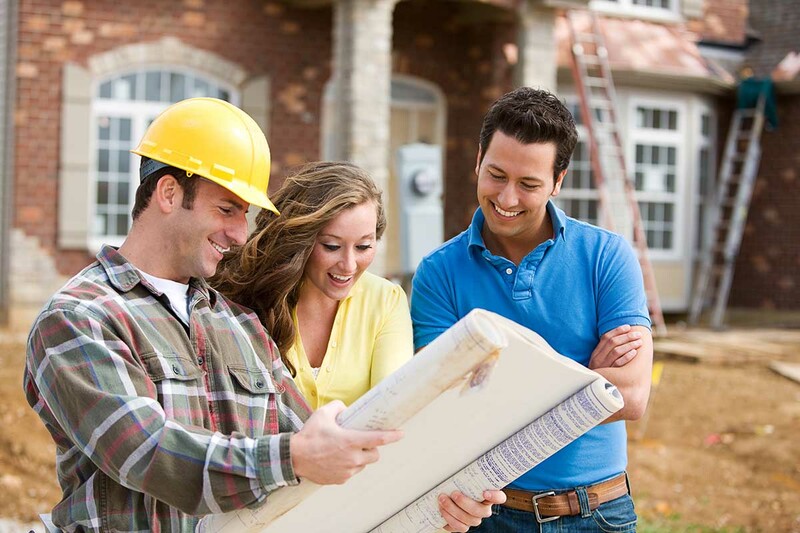 But more and more, homeowners are learning the advantages of buying where the contractors buy! Jack T. Irwin founded Irwin Stone in 1938 in Bethesda. Back then, Irwin Stone sold roofing slate. As the times changed, so did the business. Irwin Stone shifted into selling a much larger variety of products. Most of our customers are contractors. But more and more, homeowners are learning the advantages of buying where the contractors buy! Now two of Jack T. Irwin’s grandsons Brian Kelly and Steve Kelly own Irwin Stone. Brian started in the business in 1981 as a truck driver. He is now a very hands-on manager at both our locations and works closely with customers. Brian has an exceptional knowledge of quarries across the country. He can find any unique stone that we typically don’t carry. If you’re looking for something “out of the ordinary,” Brian should be able to track it down for you. Steve Kelly started with the company in 1972, working summers as a yard worker and truck driver. He spends a great deal of time working with custom builders and large projects. Steve works on the business end of the company to ensure outstanding customer service and the smooth operation at both locations. If you want a lasting landscape that’s low-cost and low-maintenance, look no further than stone. You won’t believe how easy, inexpensive and fast it is to work with. We buy the highest quality products and sell it at spectacular prices, for pickup or delivery. Stone adds a natural flavor to any project. Create a paver path that blends in with your outdoor landscaping elements. Build a flagstone mud room that serves as a transition from outside to inside. Give your home a rustic charm with a building stone exterior. We sell an ENORMOUS variety so you can get exactly the look you want without breaking the bank. Our flagship product, flagstone gives you gorgeous walkways, patios, pool decks and interiors. It requires no maintenance and is easy to install. It only needs a shallow screed bed or a concrete slab. You can buy flagstone in irregular shapes and put the pieces together like a puzzle for a one-of-a-kind look. Or you can get it in squares and rectangles to create sharp lines and right angles. Flagstone requires no maintenance. It’s a product of nature that you’d sweep or mop like any other flooring material. Our helpful staff will show you which cleaners you can and can’t use on your particular type of flagstone. It can be sealed but we don’t recommend it unless it’s used inside and you’re looking for a higher gloss look. Our flagship product, flagstone gives you gorgeous walkways, patios, pool decks and interiors. Flagstone requires no maintenance and is easy to install. Flagstone only needs a shallow screed bed or a concrete slab. You can buy flagstone in irregular shapes and put the pieces together like a puzzle for a one-of-a-kind look. Or you can get your flagstone in squares and rectangles to create sharp lines and right angles. Flagstone requires no maintenance. It’s a product of nature that you’d sweep or mop like any other flooring material. Our helpful staff will show you which cleaners you can and can’t use on your particular type of flagstone. Flagstone can be sealed but we don’t recommend it unless it’s used inside and you’re looking for a higher gloss look. Most homeowners install flagstone in heavily trafficked areas such as a front walkway, back patio or a muddy dog entrance. The natural stone surface gives you good traction. Its texture feels great underfoot and provides a non-slip surface for walkways, landings, stoops and steps. 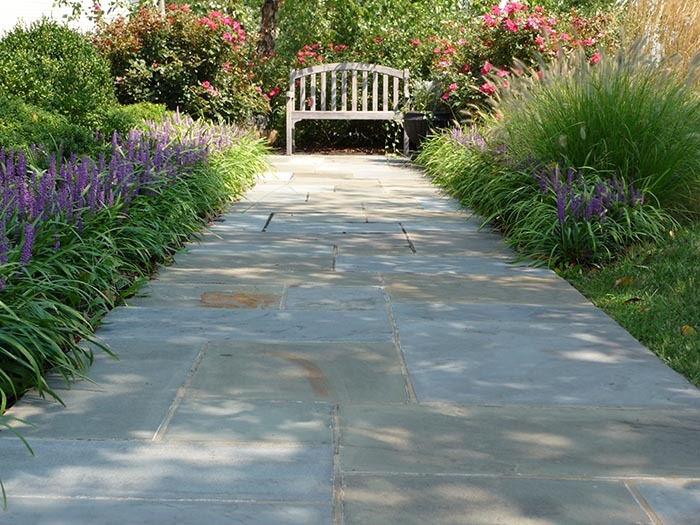 Flagstone is renowned for its durability. It’ll last a lifetime, won’t rot and won’t become infested with pests or termites. It will withstand the notorious Mid-Atlantic freezing and thawing cycles and stand up to the sweltering summer heat. We carry flagstone in a diverse range of colors, so you can get exactly the look you want no matter the project. If you can’t find it in our yards, ask our sales staff, they probably know how to get it for you. Building stone gives your house exterior a natural look that stands out from the crowd. Our wide selection of colors and styles allows us to match virtually any stonework you may have seen in your neighborhood, in a magazine or on-line. A stone house front, chimney or fireplace represents first-class quality and style. Over time, building stone typically shows no sign of age as other material might. In addition, the look never goes out of style and will always hold its value, if you need to sell your home. Aside from house fronts, fireplaces and chimneys, building stone is routinely used for retaining walls, seating walls, outdoor fireplaces, outdoor kitchens, step risers, hot tubs and numerous other applications. It’s important to reflect your design style in your stone choice. Irwin Stone can match virtually any style including rustic field stone, local mosaic blue/gray schist or formal square/rec granite. Bring us your photos and we’ll match it for you. Over time, building stone typically shows no sign of age as other material might. In addition, the look of stone never goes out of style and will always hold its value, if you need to sell your home. Landscape boulders often add the “finishing touch” to your house foundation planting. Our decorative boulders provide hardscape texture to your plants and garden canvas. In addition, they can be used as rustic steps up a hill or placed together as a retaining wall. Backyard ponds are extremely popular and should always include several boulders to create a natural looking waterfall. Landscape Boulders can also serve utilitarian purposes. Our boulders are great for ringing a mailbox to protect it from cars or weed whackers. Or they can line your driveway to keep cars off your grass. We even supply government buildings with boulders to protect against runaway cars. They’re like natural-looking bollards. We stock 15 variates of gravel, and it has 1,001 uses. It can enhance your drainage in low lying areas, cover muddy/high traffic areas and fill gaps in your flagstone walkway. Gravel is often used to replace mulch in garden beds. With the use of landscape fabric, gravel garden beds look great, weeds are suppressed and it never needs to be replaced. You can also use gravel as an inexpensive filler material for driveways, walkways, trash can areas, mailboxes or French drains. We sell a ton of different colors of gravel screened to different sizes, so there’s always an option to fit your project.